Well it’s smarter than an old fashioned shoebox because it uses 65% less paper. Even better, it means you don’t need an extra carrier bag and you can use it over and over again. Clever huh? Follow the Puma eco-table reuse this bag. All the grammar errors are indigenous to the bag itself. Apparently, it will also save 40 billion commas and 100 million hyphens to protect the environment. So. This clever little bag will protect the environment, how? Instead of a fully biodegradable or fully recycleable cardboard box, we have half a cardboard box and a reusable bag. A reusable bag that’s about the size of a children’s shoe shoebox that I can use perpetually as a carrier bag. Is that what I need? Let me run down the reusable bags I have already: Book bags from every library I’ve ever befriended, a tote bag from the company that buried my mother, little cloth bags that contained linens or something, and a laptop bag. Guess which of these I use. Just one. No, I have no use for a bag of this size. It’ll probably go right into the garbage can. Whereas one of those demonic cardboard shoeboxes, when they’re not being recycled or breaking down quickly in a landfill, are excellent storage boxes for mementos from lovers past or gee-gaws of a certain size. I mean, really, who ever gets rid of a shoebox? I think Puma has outsmarted itself in its quest to have a nice story to tell the environmentally conscious, which is to say, semi-conscious, amongst us. Even as homeowners and commercial landlords count their losses from the great real-estate bust, Midwestern farmers are experiencing the biggest property boom in a generation. The rapid run-up in land values is bound to make some people nervous, especially older farmers who remember how property values collapsed during the farm crisis of the 1980s. Farm economists, though, don’t yet see signs of a land-price bubble. Economists, the experts, are always the last to know. Kathleen Kinderfather of Webster Groves was struck about 7:15 p.m. Thursday at Big Bend Boulevard and Elm Street by a 2011 Nissan Altima, police say. Lt. Andy Miller of the Webster Groves Police Department said Kinderfather was standing on a triangular traffic island in the eastbound lanes of Big Bend when she was hit. That’s over by the grocery store where I’d sometimes pick up a pastry during a morning walk. I’d reach that particular traffic island if I walked through downtown Old Trees and followed Rock Hill Road all the way down to Big Bend, or perhaps down to Jackson and then over to Alma, although that route was rarer for me. It’s strange, because I’d flagged that intersection as more dangerous on the east side of Elm if you’re trying to cross Big Bend heading south. Elm is two lanes northbound until Big Bend, when the rightmost lane is a turn only lane onto Big Bend. Drivers making that turn are generally too busy looking at traffic, blindly following the truck ahead of them, or trying to sneak through after the right turn arrow goes from yellow to off to notice a pedestrian in the crosswalk there. I’ve been narrowly missed a number of times over there. I hope the old lady pulls out all right. The book starts out with a film editor who did not have a good relationship with the brothers and ended up getting removed from a couple of their films. I’m not sure what it adds, but there it is. Barton Fink is the story of a playwright from New York whose first Broadway success draws attention from Hollywood, where a studio lures him out to work under contract writing a B-picture about wrestling. Fink has to adjust to life in California and the pressures of writing something unnatural to him. He befriends the secretary of another writer drawn to Hollywood like himself and an insurance agent that resides in the hotel with him. Suddenly, there are bodies and shooting. Rather abruptly. Then it ends. Not a very satisfying thing to read, and I admit I sometimes confused Barton Fink with Ed Wood, which I’ve also never seen. But now that I’ve read one of the two, that problem is solved. Miller’s Crossing is more straight-through with its themes. It’s a mob picture, with the lackey of one crime lord playing angles to try to prevent a mob war and to make time with the crime lord’s moll, either protecting or giving up her brother to another crime lord who wants him killed for chiseling. There are crosses, double-crosses, frame-ups, cover-ups, and a bunch of other stuff in it. It works better all the way through than Barton Fink, mainly because we’re not given a story about the problems of mobbing and then a climax about how hard it is to write a movie. As I mentioned, these are screenplays, which is so much different from reading a play. The last screenplay I read was for Casablanca, way before this blog existed, and I don’t remember it being as complex in descriptions of shots. It reminds me of what I read in David Mamet’s On Directing Film (at least I think it was from that book) about capturing individual shots and scenes–as the Coen brothers are writers and directors (and producers), they would write a bit more from that perspective. However, if it’s not your native argot, the visualization based on shot names, you might miss some of the stage direction. A worthwhile read, and undoubtedly it’s a textbook in some film classes. 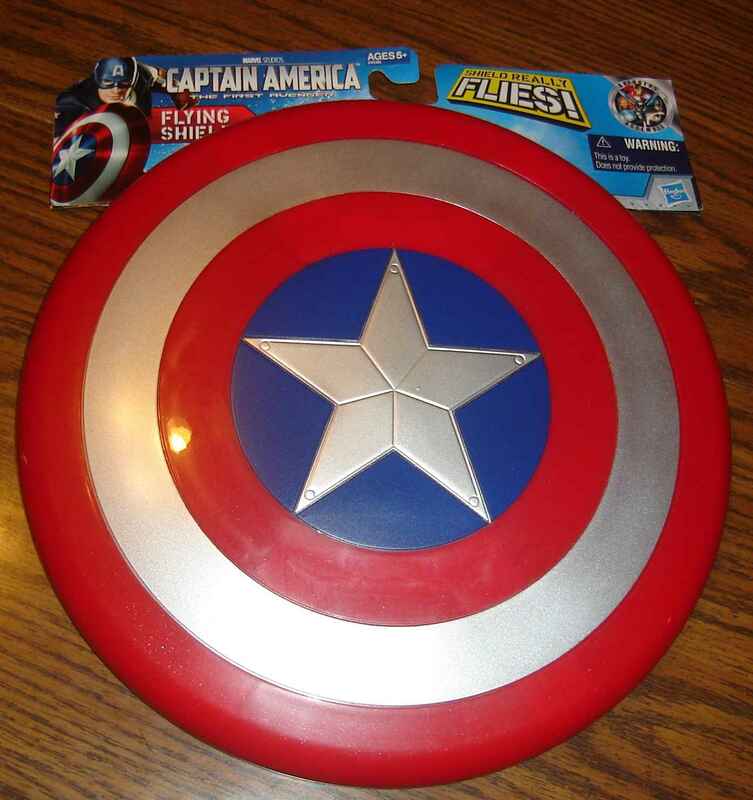 For Ten Bucks, Is A Little Vibranium Too Much To Ask? 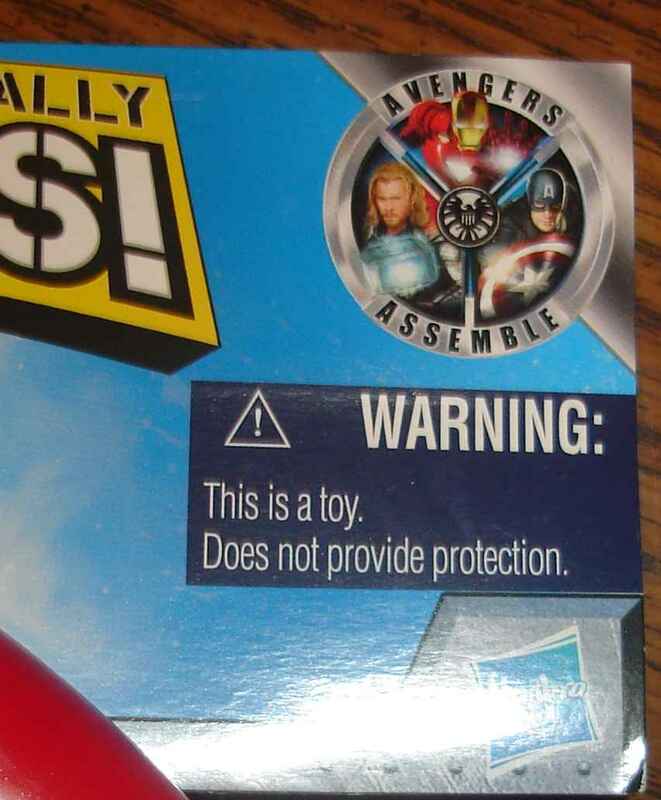 If it’s not impenetrable, why is it $10 at Walmart? A consultant’s report estimates that a $90 million investment in the Springfield Expo Center and adjoining facilities could increase local spending over the next 25 years by more than $1 billion. Chicago-based consultant Rob Hunden, who will present the financial impact analysis to city staff and others Thursday, estimates that public money would need to cover about $40 million of the development costs. But the taxpayers’ investment would be paid back with increased tax revenue within 25 years. “The groups that get the tax money aren’t necessarily the groups that would invest the tax money,” Hunden said, cautioning that the estimate includes revenue to all the taxing jurisdictions in Greene County. So, while the city would not recoup the entire $40 million investment directly, Hunden expects the combined tax revenue of the city, county, local school districts and others to increase by about $43 million overall. Spending $40 million dollars to develop a convention center when the convention industry is in steep decline and conventioneers, those that remain, will find the opportunity to get bargain rates in larger cities as they struggle to populate their tax-funded convention centers. Yesterday’s Springfield News-Leader ran the following two stories on page 1, probably thinking they’re unrelated. Gov. Jay Nixon and disability advocates are criticizing a House committee’s recommendation to cut $28 million in medical services for blind Missourians in order to make up for a reduction in higher education funding. The House Appropriations Committee on Health, Mental Health and Social Services recommended last week cutting more than $60 million in funding to a variety of programs. Among the reductions was the money used to take care of 2,858 blind Missourians. Nixon’s initial budget proposal included a reduction of $106 million for public colleges and universities. A new architectural addition to the campus of Missouri State University is only months away from reality. At the construction site of Foster Recreation Center, workers are installing basketball goals, putting up supports for a climbing wall and completing a swimming pool with a lazy river. The university broke ground on the $30 million construction project in April 2010. I know, that money comes from a student fee and not from the state’s monies, but it’s the state’s monies that make the $30,000,000 “investment” in amusement activities possible. Because governments don’t have to prioritize spending, and if they do, they’re demonized. This is a chapbook from a little old lady who wrote poems about her home, her friends, and her family in the 1970s and 1980s. Its pages are typewritten (and, in some places, corrected with correction fluid and hand printing), and it’s bound by a comb binder, probably something provided by Kinko’s or the like (my chapbooks from five and six years later were saddle-stapled, which is a more professional look, I think, but this book might have been to thick for that treatment). So I could have gone into the book with a sense of literary superiority (I’m concurrently reading Kipling’s poetry and some more by Ogden Nash), but somehow I developed a little affection for the book as I read it. Her prolific period comes in the early 1970s, and as each poem is dated, one can read the poems she was writing up to the date of one’s own birth (if one is about forty years old) and through historical periods of one’s life. So it has that effect on one like me. The topics of the poems are her friends and family, as I mentioned, so at times it’s like flipping through someone else’s photo album. Other poems deal with her home, animals around them, herself, and her relationship to God. It’s pretty lightweight stuff, except it was meaningful enough to her to put to verse. And the poems aren’t very good, but they’re not especially bad either. She has a fair sense of rhythm, relying on iambs a bunch, and she end rhymes. So she put some thought into them, unlike a lot of free versers who just blat out anything and think it’s profound. So I enjoyed the book for what it was: an amateur writing what she thought. The copy I have is a second edition, which could very well mean there were more copies of it in the wild in 1990 than there are copies of John Donnelly’s Gold out there. Fancy that. Ah, the words one learns. In creating the post below, I looked up the spelling of the word algorithm to make sure I was spelling it right (I was), and I encountered the word algorism which does not have to do with the environment or making millions on carbon credit schemes while opposing strange financial schemes that originate on Wall Street. I’ll have to use algorismic in a sentence today and hope I don’t get slapped. Also, I need to add them both to Firefox’s dictionary since I’ll be typing them on the Internet frequently in the near term. So I go to Barnes and Noble to spend my birthday gift card, and I pick up three volumes of Robert E. Howard’s Conan stories: The Coming of Conan the Cimmerian, The Bloody Crown of Conan, and The Conquering Sword of Conan. It all started when I saw The Complete Chronicles of Conan around Christmas time, but it was gone before I could buy it with a gift card. So I’ve thought about buying the paperback versions I listed above, but have been hemming and hawing until I got a $50 gift card (the books, in the store, are $17 each plus tax, unlike the lower rates you get if you click the handy Amazon links). So I bought them with the card today and a couple grubzits of my own. 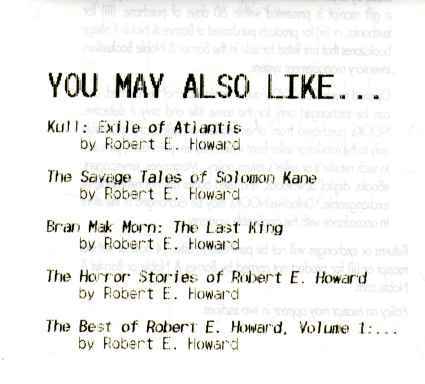 It recommended the other books on the shelf by Robert E. Howard that I did not pick up today. That’s a stunning bit of artificial intelligence there, wot? This book is really an oversized pamphlet prepared by the National Archives in 1952. It has photographs of the Declaration of Independence, the United States Constitution, and the Bill of Rights, but the size and quality of the reproduction is such that you can’t actually read the text, and the book does not include it. What the booklet does include is a couple paragraphs about each document, why it was created and by whom, along with a photo of the related mural at the National Archive. At the end of the book, an epilogue of sorts explains what happened to each document after its creation and how it came to the National Archive. An interesting little read, but I was hoping for the text of each when I bought the book. I am slightly educated but disappointed. Christian County voters will consider a pair of ballot proposals that will control the flow of money at the courthouse and sheriff’s office. County officials link a population boom to a need for more revenue for law enforcement. Voters will consider two questions on April 3. The first asks to postpone the 2015 sunset of a quarter-cent sales tax. The second question asks voters to OK a new quarter-cent tax. If both measures pass, the Christian County sheriff’s office and judicial system would stand to gain between $600,000 and $1 million annually from a sales tax totaling a half cent on every dollar. The last sales tax hike in Christian County occurred in 2001. Since then, the county’s population soared from about 54,000 to nearly 77,500. The 42 percent population increase sparked some changes and new pressures on law enforcement. What’s not mentioned in the article is the impact of an additional 23,500 residents owning property and making purchases in Christian County at the existing tax rate. All those additional residents have already increased the revenue available to Christian County government spenders, but those numbers are not to be found in the article. The important thing, as always, for the reader to take away is that ever-increasing population demands ever-increasing tax rates (regardless of actual, absolute revenue dollar amounts). It’s very important to keep government officials from having to establish and stick to priorities, like fund law enforcement before recycling programs. I guess it’s far easier for a younger, less literate generation to see books not as creations in their own right or ends in themselves. Instead, they’re just bricks in the artists’ little mash-ups of life. That tears it: I must hoard more. The size of the average newly constructed home in the United States fell to 2,392 square feet in 2010. The Journal was writing about homes that are 10 to 20 times that size and feature amenities like shooting ranges, bowling lanes, saltwater “plunge pools” and — my personal favorite — the 15-bathroom (plus powder rooms) home being built in Connecticut for Lee Weinstein, founder of Xand, a data storage company. Fifteen bathrooms? I’m not sure how much is enough, but I’m pretty sure it’s somewhere south of 15 bathrooms. The people who are building these homes are folks like you and me, except they’ve inherited a billion dollars or they are Saudi princes or NFL quarterbacks married to supermodels or they’ve built tech companies. Their wealth permits them to dream big when it comes to dream houses. Got that? They have too much. Claro! Got that? They’re lucky or lucky or, just maybe, they’ve worked hard for their money. Anthony Pritzker, heir to the Hyatt hotel fortune. The article also mentions that he founded a private equity firm. Cliff Asness, hedge fund manager. Lee Weinstein, founder of Xand, a tech company. Melissa and Doug Bernstein, founders of an educational toy company. Jim Ellis, founder of a cell phone insurance provider. Larry Ellison, founder and CEO of Oracle. Gene Pretti, manager of an investment firm. Tom Brady and his wife. Prince Abdulaziz ibn Abdullah ibn Abdulaziz Al Saud. wife of Bruce Karsh, founder of Oaktree Capital Management. That’s one heir, one quarterback, and one Saudi prince. And eight people identified by their occupations, of which three founded tech companies. The others founded other kinds of companies or worked in finance. Maybe Horrigan just looked at the pictures, the five of which more closely aligned with his characterization. You know, I’m getting to that age where I’m pretty sure I’m not going to be mega-wealthy, and this realization comes with some sadness on my part, too. But I don’t actively resent people who do succeed or people who inherit wealth or a better position in life than I did. I mean, really. Let them have their fun. And if I strike the lottery, I’ll join them briefly until I blow all my winnings and declare bankruptcy. Sometimes I think this class warfare resentment is just a comfortable way to translate bitterness and disappointment into personal superiority. I’d say I don’t understand it, but I think I do. I just can’t tolerate it. I’ve actually read this book before, some twenty years ago when I was in college or high school. You see, I remember it from the television series which was still running in syndication on KPLR in the 1980s. I don’t remember much from the first reading of the book, but I must have felt enough affection for it that I bought it when I saw it at a book fair again. So I picked it up as a nice episodic read. Jean Kerr wrote these essays, a collection whose topic matter is not quite as domestic as the television’s sitcom sensibility might indicate, in the early 1950s, which places her smack dab between Clarence Day and Erma Bombeck. Kerr does fit in between them. She was a Tony-award-winning playwright by the time this book came out, she was married to a drama critic, and they had a pile of kids and moved to Connecticut with their help, so it’s in Clarence Day’s upper crust world, but because it’s the 1950s, we see elements of Bombeck’s–and our–world. Dishwashers, for instance. The Kerrs had them during the Eisenhower administration. As I mentioned, the book tackles some domestic topics, such as the give-and-take with her children who become very literal in obeying instructions and directives when they can think of something not expressly prohibited. Ms. Kerr’s lifestyle is not purely domestic: she mentions that she stays up late and sleeps late so she can write and that the help takes care of the children part or most of the time. So some of her essays are more literary in nature–she satirizes Mike Hammer (in the early 1950s–remember, Mickey Spillane created the character in 1947, not in the 1980s for Stacy Keach), she makes light of a French novel (Bonjour Tristesse), and she talks about the theatre world of New York and Broadway quite a lot. So the book is varied in content, intelligent and domestic. Smarter than Bombeck, certainly, maybe just more sophisticated. Kerr makes offhand allusions to Kipling, and she expected her readers to know what that meant. Maybe they did then. But I doubt they would now, which is why Kerr isn’t widely read anymore. Come to think of it, neither are Day, Bombeck, or Kipling. I’m all alone out here. The Big House, a center for men with alcohol and drug abuse issues run by the Recovery Chapel in Springfield. Director Farris Roberston complains that the State of Missouri is pulling an important funding source. When Farris’ organization received a letter last week from the Department of Mental Health the terms were clear: the organization’s contract to receive funding would end in 60 days. What the letter didn’t say was why. Access to Recovery funds, which come from the federal government but are administered by the state, assist organizations in providing drug and alcohol abuse recovery programs. The funds account for about 20 percent of Recovery Chapel’s $560,000 budget. Those of us of a certain age can remember the Matt Blunt years, when the governor led budgetary responsibility that trimmed state spending. The newspapers were full of stories explaining how each individual organization that would receive less funding would suffer for it. Why, some of us even blogged about it, mocking the media’s tone that Matt Blunt hated everyone. But the fact of the matter is this: If our Federal government is not to collapse under the weight of its overspending, it will have to trim its budget. Some of that budget is doled out to states as money the states can grant to various local communities or community organizations for service. If cuts are to be made, organizations will have to find other sources of funding. Unfortunately, fundraising for so many organizations has come to rely on grantwriting and getting some sort of taxpayer money, which the organization the builds into its operating budget and needs that tax money to survive. Instead of a story lamenting the passing of the Federal tax dollars coming to this organization, I’d rather have seen it phrased as a story to tell people about this organization, what it does, and its budgetary needs so that the public could put $20 in an envelope for them. Instead, it falls to the government to fund this organization, and maybe individuals can remain unengaged with the needs their community. I was a terrific little snob who thought she knew everything, and subsequently, I was about to learn a great deal. It quickly became clear that I was not the first literate person to don a miniskirt. Sometime during that first week, I was hiding in the backroom reading Margaret Atwood. I was sitting on the counter next to baskets of party mix because my feet hurt, which they did for the entirety of my shot-selling career. One cocktail waitress swept in, asked what I thought of Atwood’s novel “Oryx and Crake,” did a tricky little analysis where she compared it to “The Handmaid’s Tale,” mentioned some other female dystopian writers I’d never heard of, and then went out balancing a tray of shots on one hand. As ridiculous as it sounds, that was the first time I became aware that clever people are buried in every nook and cranny of life. It is astonishing that no one pointed this out to me sooner. The girls working at the bar — they were so bright. Another shot girl had a journal that she filled with poetry that was — that rarest of all rare things — crisp and clean and very, very good. This was never a bar where everyone knew your name, but the cocktail waitresses came to know one another’s reading lists, and pitch letters, and audition schedules extremely well. That is, she learned to recognize there in the wilderness of people working for a living that there were other clever people. Who are the clever people? The ones who read books like she does, the ones who write poems and other things that have to be pitched through letters, and the ones who want to act. Take it from me, a literate guy with a college degree who likes to read books (not just the pulp ones) who spent years after college working in a variety of environments, from retail to warehouse to printing plant before entering the “professional” world where kids come out of college into $60,000 jobs without having to first learn how the world works. Take it from me: There are more types of cleverness in heaven and earth, Horatio, than are dreamt of in your philosophy. Cleverness is not just reading and writing. Cleverness can be doing a job well, with sprezzatura, because the person has learned it so well to have innovated tricks into it. Cleverness can be looking at something mechanical and immediately having a 3-d exploded view of it so one can take it apart, repair it, and put it together again without extra pieces. Clever can be so many things. I am reading some Kipling, too. Honest. The Telegraph, a British newspaper, named Farmers Gastropub Best Restaurant in its annual list of British expat locations worldwide. Described by its nominator as “a little piece of Britain in the heart of America”, this welcoming gastropub was highly commended in our last competition and this year managed to scoop the prize for top restaurant. We imagine its 26 draught beers will be flowing freely to celebrate. The restaurant’s Web site is here, and the local story in the Springfield News-Leader is here. I’ve eaten there, although I only had a light salad and not something more British. I didn’t notice it was particularly themed, but it did have the World Cup playing on all of its televisions, so there you go. Now that it’s acclaimed, I might sneak down there from time to time to feel Kiplingesque. Post-Dispatch Asks: Should Slavery Be Legal? That’s not how they phrase it, of course. They say Should government order companies to make certain drugs? That is, does the government have the moral right to compel labor? Because making certain drugs is making things more abstractly. Rregardless of whether it’s a particularly politically expedient opponent (Pharmaceutical Companies, according to the AP Stylebook, are always bad), compelling someone, somewhere to work because the government wills it, not because the compelled corporation gets something out of it, is morally wrong. They call that slavery sometimes. When it’s not for the children or the sick, I suppose. But if they need shelter, should the goverment compel builders to provide them shelter?